I am made of 2.9% Neanderthal genes. I know this from a DNA test through 23&Me. It's amazing what geneticists can find out today. They know this from finding bones belonging to Neanderthals about 50,000-80,000 years old. 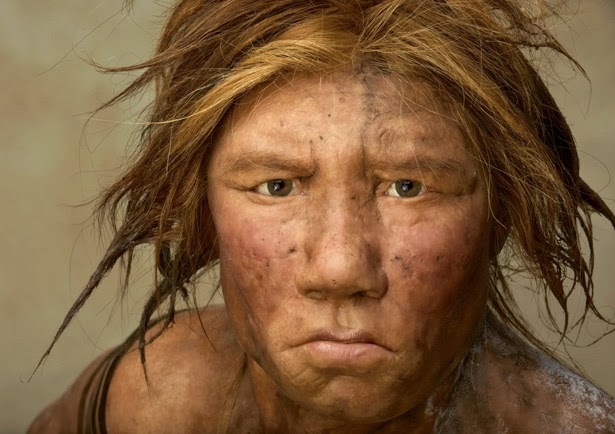 Some people have Denisovan genes, and some might have both. This is because of bones already found and labeled as such. It has been found that there were about 4 early types of humans that interbred with early Homo Sapiens and carry these ancient genes now a part of us. I know that Neanderthal genes gives me some natural immunity from certain diseases. 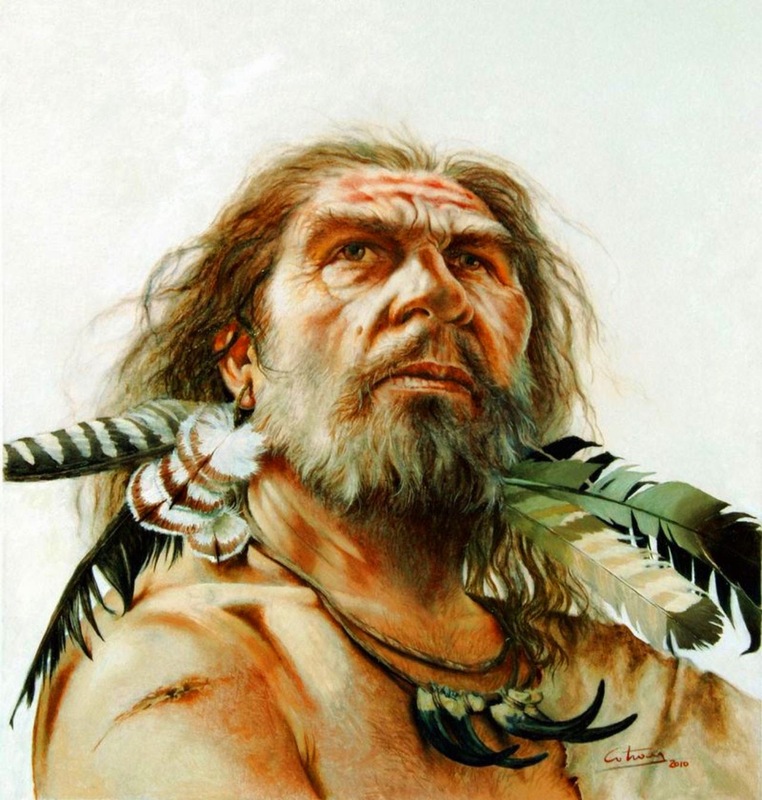 "It is estimated that between 1.5 and 2.1 percent of the genomes of modern non-Africans can be traced to Neanderthals". Neanderthals were not found in Africa. When Israelites were on the Exodus, started in 1579-1578 BCE, and went into Canaan, they found little city states made up of many types of people. Our 12 tribes eventually married into some of these as records state. Those Canaanites who weren't killed in battle, eventually intermarried with the Israelites. One ancient people and country in what is today's Jordan were the Ammonites of Ammon. 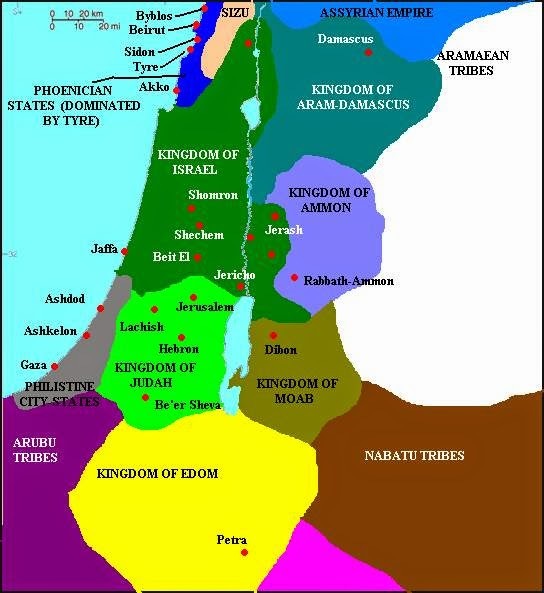 "The Bible says several kings arose there in what is now Jordan and opposed Israel. Can the Bible be trusted?" Archaeology is finding a lot of the answers that agree in that there were these places. The people living in Jordan today were not natives of the land. They arrived there recently with king Abdullah from Saudi Arabia (Hejaz) who wanted a country to be king of. 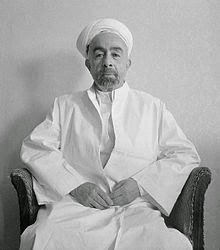 He was from the Hashemite tribe and arrived in Transjordan with his tribe in 1921. Abdullah is a direct descendant of Mohammad. There are no longer such people as Ammonites, though digs should be able to find bones and do some DNA testing. This would probably only find the MTdna carried and passed on by females as the Y DNA carried and passed on only by males is harder to harvest. These Ammonites were a Semitic tribe according to the Bible. They were related to the Israelites. (Gen. 19:38). Lot, Abraham's nephew, was the progenitor of the Ammonites, but they were enemies of the Israelites more than friends. Their main time of existence was from the 13th to the 8th centuries BCE. After that they declined in numbers and were eventually absorbed into the Arab tribes. They were a group most likely who did not intermarry with the Israelites. The Israelites were led by G-d back to Canaan where Jacob and his family of 70 had been living before finding refuge in Egypt. After they occupied Canaan, they were attacked many times by the Ammonites who were defeated at the hands of Jephthah and King Saul. King David annexed their kingdom but they regained their independence and attacked Judah after King Solomon had died and Judah became a state. This is recorded in (II Chron. 20:27:5; II Kings 24:2). After the destruction of the First Temple, Baalis, king of Ammon, had Gedaliah, the Governor of Judah, murdered, supposedly to weaken Judah further. Gedaliah was from a noble Jewish family and had been appointed by the Babylonians as governor of the population which remained in Judah after the destruction of the 1st Temple in 586 BCE. He had set up the seat of his administration at Mizpah only to be murdered by the commander, Ishmael ben Nethaniah and his followers who were planning a revolt against Babylon. They were in concert with their neighbors in doing this. After he was murdered, Gedaliah's supporters fled to Egypt (II Kings, 25:25-26; Jer.. 41) (Jer. 40:14). On the Jews' return from Babylon, Ammon joined Judah's enemies and Tobiah the Ammonite supported Sanballat in his opposition to Nehemiah (Neh. 2:10). Tobiah was an estate-owner and evidently a petty prince of Ammon in the mid-3rd century BCE who married the sister of the high priest, Onias II. Onias was the name of several high priests during the 2nd Temple Period. 1. Son of Simon the Just, high priest about 230 BCE who refused to pay the 20 talents of silver given yearly to Ptolemy III of Egypt thereby endangering Judea's safety. 2. Son of Simon II, grandson of the first Onias. He was later assassinated by his brother, Menelaus who then became high priest. 3. son or grandson of the 2nd Onias. Fled to Egypt to join other Jews suffering from religious persecutions of Antiochus Epiphanes and lived in Heliopolis, built a temple at Leontopolis. Tobiah's son, Joseph (died in about 181 BCE) leased the taxes of Coele-Syria. Joseph's younger son, Hyrcanus, was a dynast (hereditary ruler) in Ammon, building himself a stronghold (Arak al-Amir, near Amman) which still survive as remains. Notice that Baalis's name starts with Baal, which among the Canaanite peoples was the proper name of the one god of the sky and fertility originating in Babylonian lore. Baal is a Hebrew word for husband, owner, lord used by the Caananites. It was also a term used for various local gods, generally in the form of a bull or a man worshipped as gods of fertility, both found in the field and the womb. After the Israelites entered Canaan, they tended to adopt these deities (Bealim) of the local inhabitants though the prophets protested loud and clear. This was probably because it was so close to what passed as religion in Egypt that seeped into the culture of the Israelite slaves as well being it was in their environment. No wonder Aaron couldn't stop the Israelites from making the golden calf when Moses went up the mountain and was gone for so long. During the Hasmonean rising, the Ammonites aided the Syrian forces and were defeated by Judah the Maccabee (163 BCE). Not much is known about the lives of the Ammonites as no literary remains survive, but there have been digs in Transjordan/Jordan that indicate a developed kingdom with fortified frontiers, artistic tastes, and advanced agriculture. Their religion was that of worshipping fertility gods, the chief being Milkom. Rabbath Ammon was a Hellenistic city in Ammon. A cistern and water system were found there. Also of course, pottery and coins were also found in digs. " Discoveries over the past 150 years have forced archaeologists to acknowledge that the Ammonites, Moabites, and Edomites existed." We will not be able to see who is carrying any % of Ammonite genes until bones can be identified as being strictly of Ammon. Unless they conformed to cremation as a way of burying, it shouldn't be long to find this information. In looking for pictures, I discovered that the people of Ammon are now a part of the story of the Mormons (LDS) who have the Lamanites killing them. Lamanites (who they call the North American Indians) are not a part of Jewish history, so are not in our Tanakh (Old Testament). The Israelite Kingdom arose in the 11th century BCE in an area between modern-day Lebanon, Jordan and Saudi Arabia. Current archaeological evidence indicates that the Israelite kingdom arose out of the earlier, Bronze Age Canaanite culture of that region, and displayed significant continuity with the Canaanites in culture, technology, language and ethnicity (Dever 2003, pp. 153-154). Amorites: Western Semites like the Canaanites. They were probably the pastoral nomadic component of the Canaanite people. Hittites: A non-Semitic people from Anatolia and Northern Syria. Hurrians (Horites): A non-Semitic people who inhabited parts of Syria and Mesopotamia. Many kings of the early Canaanite city-states had Hurrian names. Amalekites: Nomads from southern Transjordan. Even inimical references to this group in the Hebrew Bible “tacitly” acknowledge that the Israelites and Amalekites shared a common ancestry. Philistines: Referred to in ancient texts as “Sea Peoples.” They invaded and settled along the coasts of ancient Canaan. Their culture appears to stem from that of Mycenae.